As you’re reading this, hundreds of thousands of businessmen (and women) are traveling for work. Only yesterday, a friend told me this was his 101st business trip of the year (yes, Raphael, that’s you). Endless hotel check-ins, same rooms, same breakfast, same everything. What if you could spice it up with Tepee ? Going from hotels to hotels has benefits but also limitations. You almost always know in advance what to expect. That’s reassuring. You also know that it will always be the same: loneliness, room service, same TV channels. And that’s boring. It can sometimes even become alienating as one never gets to experience the joys of mingling with locals. Some decided to resort to Couchsurfing. Couchsurfing is sleeping over at someone’s place. Hosts open their houses to you hoping for interesting encounters. Although the intention is great, the agendas usually differ. The host is looking to spend some time with the guest, maybe during the day, maybe a night out. But the guest on a business trip is busy in the day and may not seek a night on the town. In comes Tepee. It offers Couchsurfing for professionals. No more trying to accommodate both agendas. The host and the guest know the purpose of the trip and this may be a great occasion to network and even start a working relationship. In order to offer a quality service, all demands to access Tepee are individually reviewed. The service will be live for all on October 1st. But in fact, it has already been running for a few years but you may not have known about it. It all started in 2015. Allan Ballester was working at the Human Resources department of Decathlon, the international sports gear stores. With his many business trips, he started to seek a different experience. He had high hopes in Couchsurfing but soon experienced the shared frustration of not being available when the other was. He decided to set up his own ” corporate Couchsurfing” for the Decathlon employees worldwide. The company of 80,000 employees was ideal for a real-life test. Decathlives was born and people traveling for work stayed at co-workers houses. More important than the occasional savings on accommodation, it turned out to be a great way to promote in-company communication. 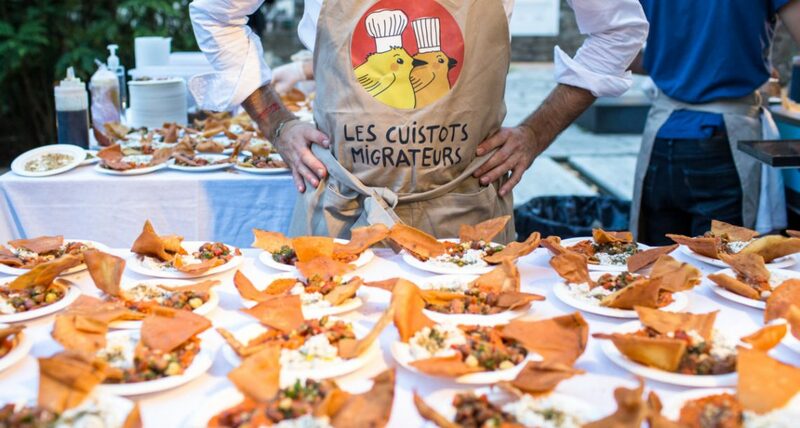 It was even the starting point for some projects devised while cooking together. Some top Decathlon executives who also took to Decathlives left hotels and to experience quality time with others. 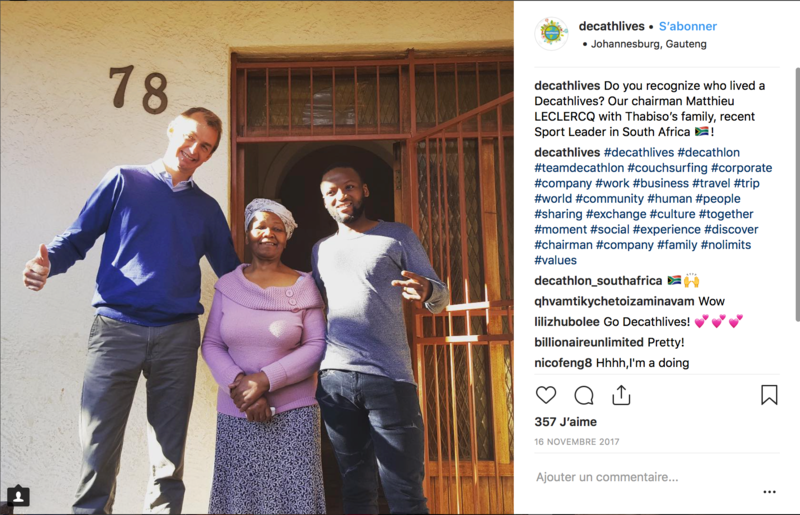 As this once, in South Africa, when the then chairman Mathieu Leclerc (son of Decathlon founder) stayed in the modest home of a newly recruited employee. The project was a success. Out of the 80,000 employees, 12,000 use Decathlives for their business trips. Since the Decathlon workforce is not the only one to travel, opening the service to all seemed the obvious next step. To achieve this, Allan has enlisted two associates, Arnaud Cosson and Alexis Dufour, (more coming) and interns. A deliberate choice was made to create the platform in English. The purpose is not to limit the access to overseas users but rather to make sure hosts and guests have a common language. 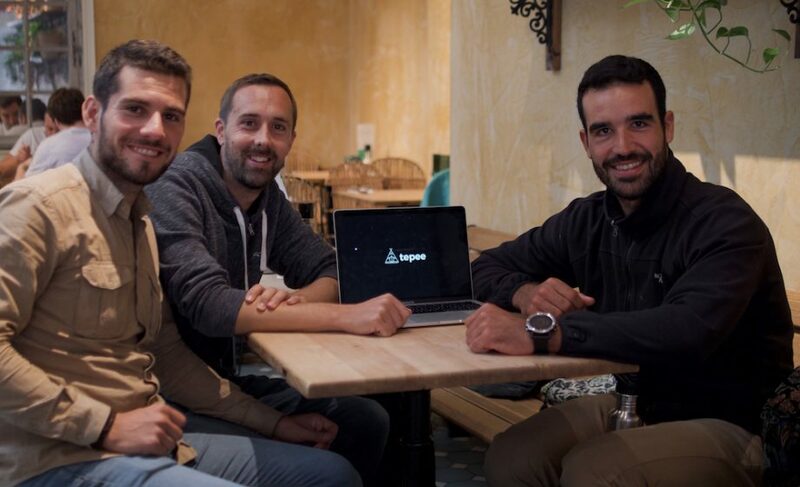 What will now be Tepee goes way beyond a “simple service”. The whole concept is based on the idea that entrepreneurship should not just be about money. It should be about a social breakthrough. In Tepee’s case, the idea is to give more power to people. Power to meet, exchange, network, out of regular channels. Pretty much like this CEO who recruited one of his guests after he stayed at his place. “I learned more about him in an evening in my kitchen that I would have had in a year at the office”. Green, social and good food are Tepee’s favorite words. So, are you ready to escape the hotel rooms on your next trip? And maybe meet your next associate?